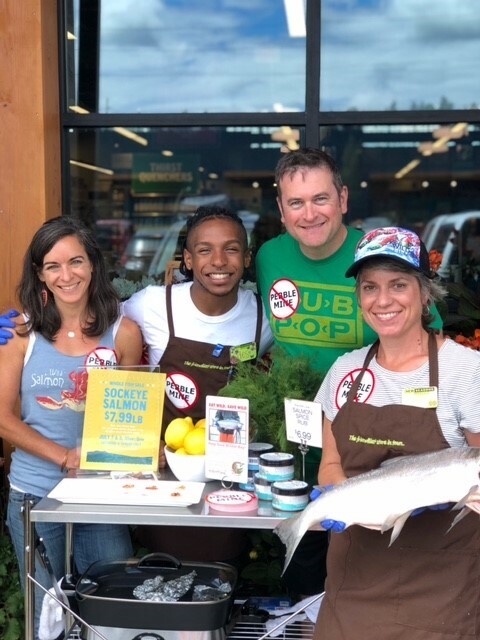 In early July, grocers and fish markets throughout the Pacific Northwest and beyond came together to promote Bristol Bay sockeye salmon during the peak of the Bristol Bay fishing season. This wasn’t your average salmon promotion though. Instead, businesses encouraged customers to eat Bristol Bay salmon as a way to help save Bristol Bay salmon – or “eat wild to save wild,” as Seattle Chef Tom Douglas often reminds people. 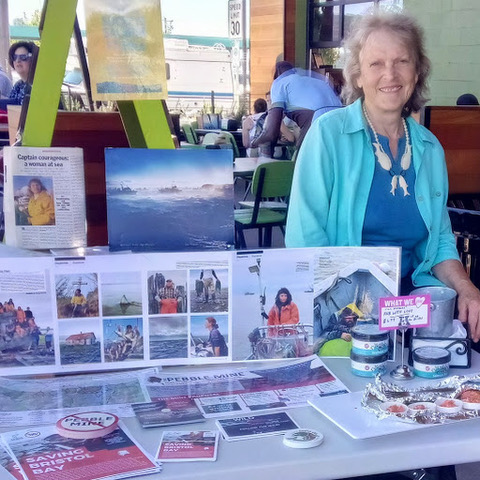 During the weekend promotion, participating businesses collectively raised $12,700 for the Alaska Wild Salmon Fund, which supports Alaska nonprofits working on the frontlines of the Pebble Mine fight. In addition to raising funds, some businesses hosted special salmon tastings and events, including Flying Fish Company, which hosted a class teaching people how to fillet a whole salmon. The promotion was spearheaded by New Seasons Market and Tom Douglas’s Rub With Love. The two businesses, which are members of the Businesses for Bristol Bay coalition, combined forces and invited other Northwest businesses to join them as a way to help raise funding and support for protecting Bristol Bay. Business partners ranged from large regional seafood distributors to local fish markets and food trucks. “This is exactly why we created the Alaska Wild Salmon Fund; we saw a real need and opportunity to create a community of like-minded businesses that share an appreciation and connection to Alaska’s wild salmon. The Fund gives these businesses a way to put their money where their values are,” noted Matt Rafferty, Director of the Alaska Wild Salmon Fund. Older PostFly Rod Giveaway is complete, but the benefits remain!